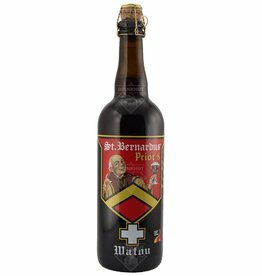 The beer St. Bernardus Pater 6 is brewed by St. Bernardus in Watou in Belgium. The beer St. Bernardus Abt 12 is brewed by St. Bernardus in Watou in Belgium. 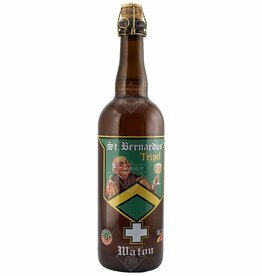 The beer St. Bernardus Triple is brewed by St. Bernardus in Watou in Belgium. 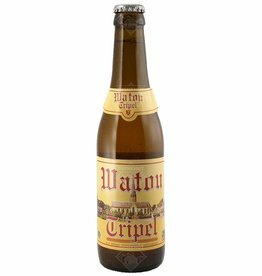 The beer St. Bernardus Watou Triple is brewed by St. Bernardus in Watou in Belgium. A top-fermented beer with a deep ruby colour and a malty, fruity, full flavour. A nice round head, thanks to the secondary fermentation in the bottle, with an aftertaste that creates the perfect balance between sweet and bitter. A dark coloured top-fermented beer. The showpiece of this brewery that is easy to drink due to its soft, full-bodied taste. The Abbot has a very fruity aroma. The beer St. Bernardus Prior 8 is brewed by St. Bernardus in Watou in Belgium. 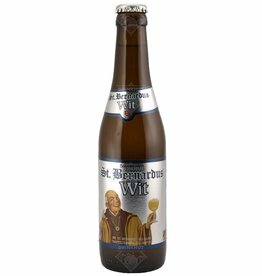 The beer St. Bernardus White Beer is brewed by St. Bernardus in Watou in Belgium.